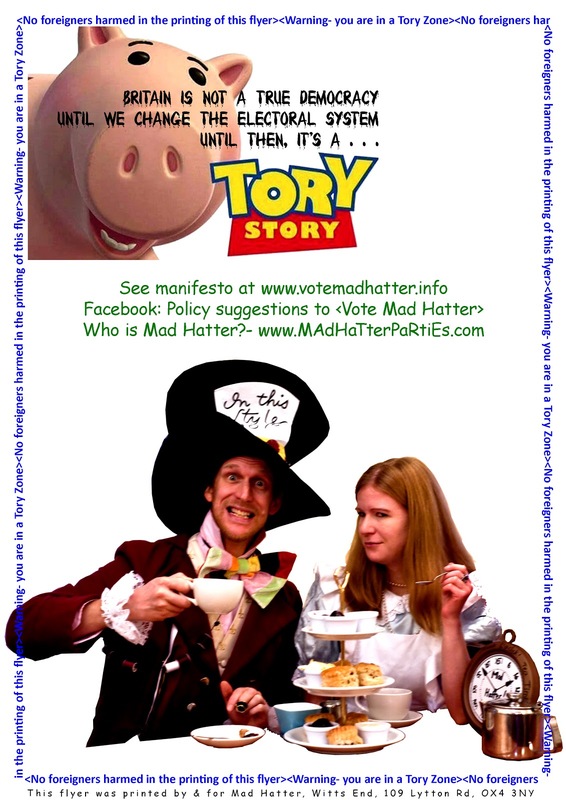 Mad Hatter won 129 loony votes, coming a sensible 8th out of 14 candidates! Thanks to European Social Funding, Mad Hatter is pleased to announce that Mad Hatter will now commission a unique 'Time Travelling Chair of Infinite Regret', to be installed by David Cameron (when Theresa May is not looking) at No 10 Downing Street. Thus any unfortunate unforeseen events like May 23rd 2016 Jump off a Cliff Lemmings Day, need not be repeated.